With extensive experience in cross-border e-commerce, Azoya has developed multiple e-commerce services to help retailers and brands capture sales in the booming China market. Over the last five years, we have helped over 30 retailers from over 12 different countries expand into China via cross-border e-commerce, with total GMV having grown at a CAGR of over 300% since our founding in 2013. Our professional staff of over 250 employees around the world is dedicated to helping our clients achieve success. Our Azoya Commerce solutions are modular e-commerce solutions that can be customized to your needs. For example, some clients may be solely interested in marketplace operations, while other may be only interested in standalone e-commerce or WeChat mini-program solutions. Some clients prefer to do branding and marketing themselves, while others prefer that we handle it for them. Choose from any of our below services and let us know what you need. We help our partners set up Chinese language stores for desktop, mobile, WeChat mini-programs, and apps for both Apple and Android stores. 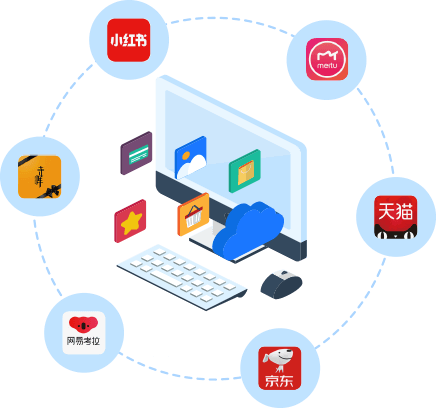 We optimize the storefronts UI/UX, hosting and integrations to ensure optimal Chinese user experience and highest conversion rate at the lowest cost for retailers to maintain and upgrade the system. As the primary platform to launch an online retail business, your e-commerce storefront must be designed to attract customer traffic, facilitate the shopping process, and convert visitors into loyal, repeat customers. Our trusted China market expertise and IT capabilities can provide you with ideal results as you expand your business in the China market. For brands, we focus on helping our clients position their brand properly by telling compelling stories that enable them to build a strong connection with their target audience. This allows them to stand out in the market and develop a loyal customer base that keeps coming back for more. For retailers, we enable highly localized marketing campaigns that are compatible with different types of storefronts and can effectively convert user traffic into loyal customers and sales revenues. We help you market your storefront and products across the digital space in China. Marketing in China is rapidly evolving, and there are many different avenues through which a brand can reach consumers and attract user traffic. To help you keep up with the latest marketing trends and consumer expectations, we will work with you to devise your entire China marketing strategy, execute joint branding activities and events, provide day-to-day marketing support, and more. Chinese consumers frequently turn to social media and KOLs (key opinion leaders, or influencers) for advice and ideas on the newest and hottest cross-border products to purchase. Azoya helps its partners to position its brand and curate social media content the right way to target the appropriate customer base. We also have long-term, outstanding relationships with top KOLs in the industry and leverage our deep expertise and experience to find the right KOLs for your brand. We manage a variety of different KOL marketing campaigns to drive more sales and maximize ROI. These include both CPC and CPS partnership models that focus on a mutual alignment of interests, as well as ongoing branding campaigns that seek to increase brand awareness in the market. In today’s dynamic Chinese e-commerce environment, there are numerous new tools and platforms with which brands and retailers can effectively market to customers. 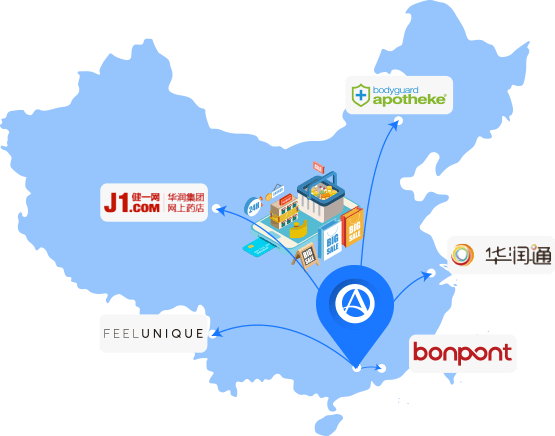 From new affiliate marketing partners to KOL live streaming campaigns, as well as emerging marketplaces and WeChat mini-programs, we focus on leveraging a wide array of different methods to help our partners grow their business in China. We are your Trade Partner (TP) launching brand flagship and multi-brand retailer stores on Netease Kaola, JD Worldwide, Little Red Book, Tmall Global, and other major Chinese online marketplaces. End-to-end solution that covers store set-up, content creation, (in-market place) marketing and other required activities. WeChat mini-programs are mini-apps within WeChat, through which brands and retailers can interact with and sell to Chinese consumers. Since they are relatively new, most e-commerce players have yet to take advantage of their use. Azoya's new WeChat solution enables smaller brands and retailers to build and customize their own fully integrated Chinese e-commerce store. For more information, please visit our WeChat mini-program website. With 1 billion monthly active users, WeChat is the perennial app and marketing platform that retailers must utilize as part of their social media strategy. Our customized WeChat solutions help brands and retailers tackle both marketing and retailing at the same time, enabling them to attract, convert, and retain customers over the long run. Our SaaS solution allow retailers and brands to launch their own store with mini-program technology in WeChat. It is fully supported for cross-border payment, social marketing (flash sale, bulk purchase), with monthly cost starting from 245 USD. Apply now! WeChat Official Accounts are the primary interface with which brands interact with their customers on WeChat. Azoya leverages its deep knowledge of Chinese consumers and trends to help its clients devise highly unique, localized content marketing campaigns that help tell the story behind your brand and build a stronger connection with end consumers. Azoya works with its clients to carry out extensive paid marketing campaigns on WeChat, which include Moments advertising, KOL marketing, and media buying. Azoya strives to maximize ROI and create a positive image for your brand. In addition to providing a source of content, WeChat is also used by brands and retailers to communicate directly with customers, specifically regarding customer service issues. For example, users can directly message their favorite brand and ask relevant questions about its products and services. This presents a great opportunity for companies to interact with and build relationships with their customers. Azoya works with its clients to provide the highest level of customer service, so that they can differentiate themselves from the large number of competitors in the market today. There are many nuances that international brands and retailers must be aware of when dealing with Chinese customers. Azoya helps its partners manage customer relations on WeChat, which ensures a positive shopping experience for customers and encourages repeat purchases. WeChat mini-programs are a new avenue through which brands and retailers can interact with and sell to Chinese consumers. Since they are relatively new, most e-commerce players have yet to take advantage of their use. Azoya helps its partners build storefronts on mini-programs and integrate their online business with special APIs so that they can push promotions and sell directly to Chinese users on WeChat. We also write valuable content that educates users about products and helps drive sales. When launching an online store in China, retailers need to establish a robust IT infrastructure to make sure that customers can readily access their website in every possible scenario. To create a positive shopping experience for customers, a Chinese e-commerce website needs to be supported by an optimized, secure, and localized IT infrastructure. Azoya's scalable IT infrastructure and can adapt to various different types of business needs and strategies. The capacity of one's cloud-based services serves as the cornerstone of a retailer's online store experience. We host retailers' IT systems on our state-of-the-art cloud servers in Hong Kong. Our in-house R&D teams have developed a scalable, modular structure to handle high volumes of users during peak holiday shopping periods such as Single's Day and Black Friday. A dispersed database structure reduces risks and safeguards customers' transaction records. Our Open APIs primarily serve to coordinate product, order, delivery, and payment information across a wide variety of different sales channels. Looking to expand your business through multiple sales channels in China? Sell your items to distributors and retailers who will do the sales and marketing for you. Azoya's extensive distribution network serves to help you build your brand by expanding to multiple channels, enabling you to reach different subsets of customers. Many Chinese consumers do not own international credit cards such as Visa & Mastercard, and do not use PayPal. It is critical for international retailers and brands to offer local payment options that facilitate the transaction process. Azoya’s payment solutions integrate payments and settlements with brands and retailers so that transactions can be conducted in a safe, smooth manner. Online cross-border payment methods include Alipay, WeChat Pay, UnionPay. Figuring out how to integrate China payments and settle funds with a non-Chinese company can be complex; working with Azoya allows for lower upfront expenses and one key partner to handle multiple different payment platforms. Consult our professionals to figure out the best solution for your China business. We help enable overseas retailers with the ability to accept WeChat mobile payments in offline retail situations, making the process more convenient for local Chinese consumers. Supports the settlement of 15+ mainstream currencies in RMB and vice versa. For companies of all sizes, customer service must be at the heart of your China business. It only takes one bad experience to prevent a customer from making a repeat purchase, and only happy customers will come back and share their experiences with others. Azoya employs pre- and post-sale customer service teams to address the many needs of Chinese customers. Based in China, our teams can help overseas partners respond to customer queries and complaints promptly, resolving issues and improving customer loyalty. Azoya supports full refund policies and in-China parcel returns. In today’s increasingly competitive market, strong customer service capabilities enables a brand to stand out amongst its peers. Entrust your customer service operations to a local team of professionals that understand Chinese consumers and their needs and pain points. Azoya offers a one-stop solution for logistics, warehousing, and fulfillment. International retailers have a host of different logistics options through which they can send goods to Chinese consumers. Our supply chain professionals have extensive resources and knowledge of international shipping routes and China Customs clearance regulations. This helps our clients maintain low-cost, efficient logistics operations, while continuing to maintain a superior customer experience. Direct shipping options help overseas brand/retailers build trust with their target consumers as they know they are purchasing products directly from the source, reducing the likelihood of tampering by middlemen. Additionally, with direct shipping, overseas companies don’t have to stock products in local Chinese warehouses and can instead ship directly to the Chinese consumer from warehouses in their home country. In doing this, retailers and brands can save on upfront costs and sell a wider variety of different SKUs. Azoya works with select logistics service providers to customize the best logistics solutions for its clients around the world. End consumers are increasingly demanding faster shipping from companies in the e-commerce industry. Depending on their different needs, retailers may opt to stock their products in bonded warehouses in Hong Kong or a Chinese free trade zone, so that when customers make their orders, the goods can be shipped faster than from an overseas warehouse. While the upfront costs are higher, as business volumes grow, the average cost per package will decrease over time. This option is popular amongst larger retailers that have a steady stream of orders and customer demand that make it easier to predict inventory and shipping needs. Azoya works with its clients to find a balance between shipping costs and efficiency.